The attempts to take under control the situation with the burning Purple Beach have shown progress. 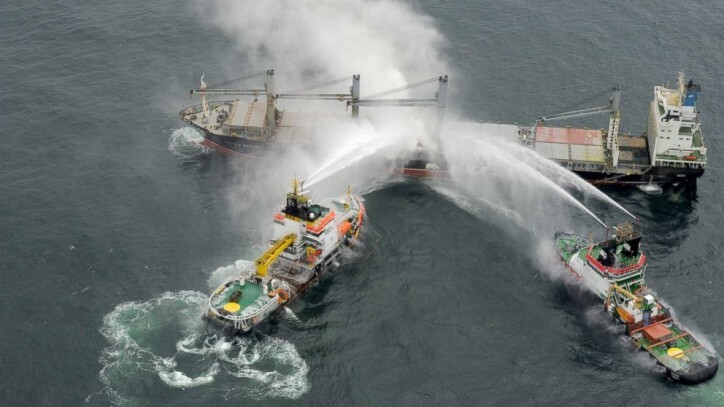 In a joint effort the Nordic an the Neurewk vessels managed to come closer to the cargo ship. All crew members were wearing gas protection masks. 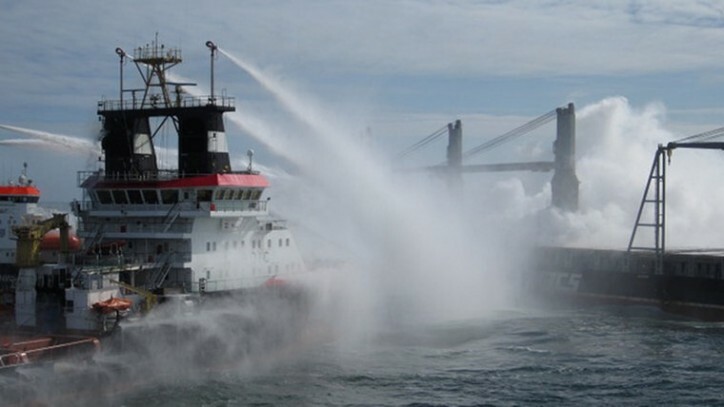 Closing the distance to some 100 meters, the boats cooled down the hull of the burning vessel with massive water stream. 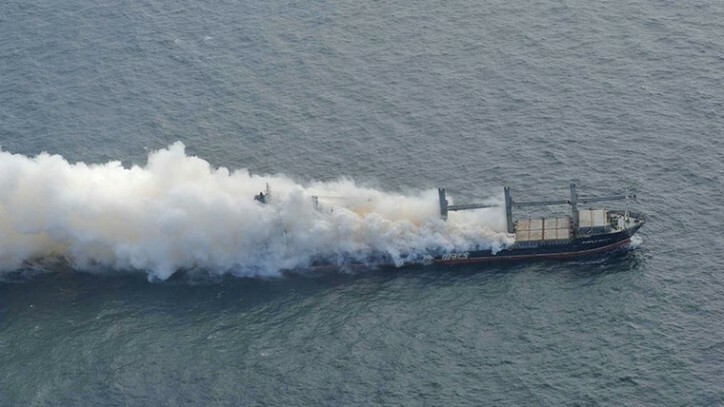 According to the Germany's Central Command for Maritime Emergencies (CCME), firefighters managed to board the vessel and to attach three hoses near the smoldering cargo hold. 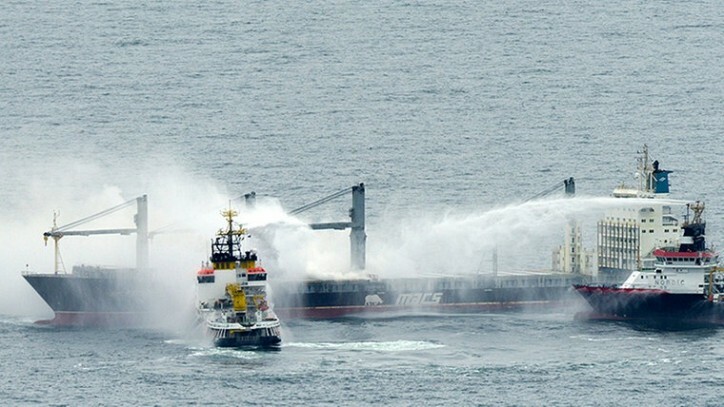 Once the team left the vessel, Neuwerk started to pump water into the hold. The smoke on Purple Beach had significantly decreased, added CCME. “All of the 26 crew members who had been sent to hospital for monitoring have now been released,” was said. The situation is still being monitored by rescue boats. Officials are yet to decide whether and how to tow the Purple Beach and clear the area.